With tax preparation season in full swing, DA’s office working hard to protect taxpayers, public agencies and vital social services that depend on tax revenue. MINEOLA, N.Y. – Acting Nassau County District Attorney Madeline Singas announced the arrest and arraignment today of a Baldwin tax preparer on larceny and fraud charges, as well as the recent sentencing of an employee of a Hempstead tax service and her boyfriend for pocketing the tax refund checks belonging to 15 clients. Another tax preparer, who falsely represented himself to his clients as a CPA, when in fact he was not licensed, and caused at least two business clients to be audited by the taxing authorities and assessed penalties and interest as a result of his failure to file on their behalf, is expected to surrender next week. 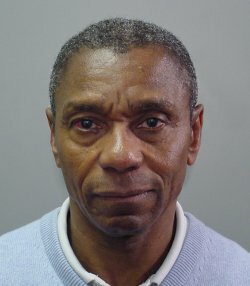 James Lee, 63, of Long Beach, was arrested today by DA investigators and arraigned by Nassau District Court Judge David McAndrews on two counts of Grand Larceny in the 2nd Degree (a C felony), Scheme to Defraud in the 1st Degree (an E felony), and three counts of Offering a False Instrument for Filing in the 1st Degree (an E felony). Judge McAndrews set bail at $25,000 bond or $12,500 cash. If convicted of the top charge, Lee faces a maximum sentence of five to 15 years in prison. He is due back in court on Feb. 5. Acting DA Singas also announced that two defendants in another tax fraud case pleaded guilty, were sentenced and ordered to pay full restitution to taxpayers. Jerald Gadsden, 24, of Roosevelt, and Stephanie Jeanbon, 22, of Elmont, pleaded guilty in January to Petit Larceny (an A misdemeanor) before Nassau County Court Judge Francis Ricigliano. Gadsden was sentenced on Jan. 14 to six months in prison and ordered to pay $12,741.15 in restitution to four taxpayers whose refund checks were deposited into his personal bank account between April 9 and May 13, 2013. Jeanbon is set to be sentenced on March 26 to three years of probation, and is expected to be ordered to pay $12,317.35 to 11 taxpayers for pocketing their refund checks during the same time period. Acting DA Singas said that since 2007, James Lee, a New York State Licensed Certified Public Accountant, handled all of the business-related taxes for a client’s three restaurants – including tax filing and tax payments. In 2013, Lee’s client was contacted by the IRS and New York State Department of Tax and Finance (NYSDTF) regarding underreporting of sales and underpayment of sales taxes. At this time, a new accountant was hired and obtained copies of what was filed with NYSDTF. The new accountant discovered that copies of sales tax returns given to the client were correctly calculated and that the client’s checks for those tax amounts due were cashed by Lee and deposited into Lee’s corporate account. The new accountant also discovered that the sales tax returns actually filed by Lee with NYSDTF indicated sales tax due in amounts that were tens of thousands of dollars lower than the amounts indicated on the copies of the returns provided by Lee to his client. The investigation further shows that Lee paid the lower sales tax amounts indicated on the false tax returns using his corporate checks. Upon learning of the NYSDTF audit of his businesses, the client confronted Lee who then issued a check to the client for $71,000 from another one of Lee’s corporate accounts, which bounced. When that check bounced, the client again confronted Lee and received three new checks totaling $39,574.00. The client did not cash these checks based on Lee’s prior conduct. The case was referred by the client’s new accountant to the DA office’s Criminal Complaint Unit in September 2014. Today’s arrest came after a joint investigation by the DA’s office and NYSDTF. Upon comparison of the client’s negotiated checks to Lee and the monies received by NYSDTF by Lee, a discrepancy of $117,131.80 was discovered. To date, neither the client nor NYSDTF has received any portion of the outstanding funds. In the case of the unlicensed CPA, in addition to presenting himself to his clients as a licensed CPA, he failed to file required tax returns and supporting documents with the IRS and NYSDTF while indicating to his clients that he had in fact done so. In addition, when the taxing authorities started inquiries of his clients, he indicated that he would represent the clients before those taxing authorities, which he never did. As a result, each client was assessed additional taxes and thousands of dollars in penalties and interest. Taxpayers who suspect that they may have been similarly victimized should contact the Economic Crimes Bureau at (516) 571-2149. Taxpayers can verify the CPA licensure of their preparers by contacting the NYS Education Department. Assistant District Attorney April Montgomery of Acting DA Singas’ Economic Crimes Bureau is prosecuting the case against Lee, who was represented by Justin Feinman, Esq. at arraignment. Assistant District Attorney Matthew Sotirhos of Acting DA Singas’ Economic Crimes Bureau is prosecuting the case against Gadsden and Jeanbon. Gadsden is represented by Kristen Clodfelter, Esq. ; Jeanbon is represented by John Healy, Esq. The charges against Lee are merely accusations and the defendant is presumed innocent until and unless found guilty.